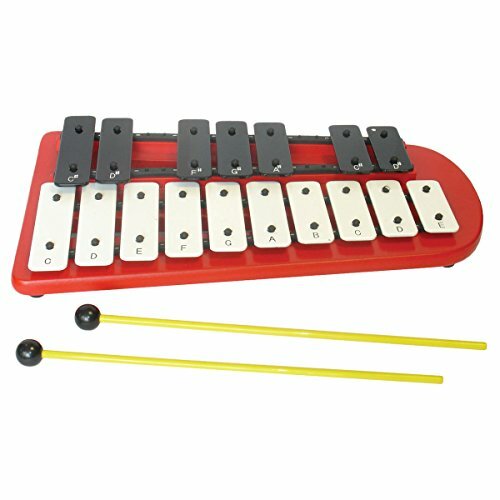 The Percussion Plus PP2172 is a popular classroom tool. If offers a small, fully chromatic instrument - C64 - E80 - with well tuned, precision made note bars configured and coloured as you would expect from a piano keyboard. Each bar has the note name engraved on it which assists in those early stages of learning to read music. The notes are mounted onto a bright red, solid wooden bass with nicely rounded corners which makes it ideal for younger children. If you have any questions about this product by Percussion Plus, contact us by completing and submitting the form below. If you are looking for a specif part number, please include it with your message.